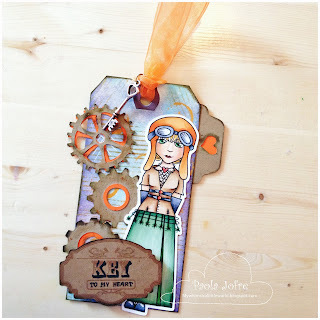 Mad for Markers blog: Mix Media Tag Steampunk Brianna! 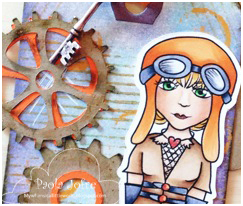 Mix Media Tag Steampunk Brianna! 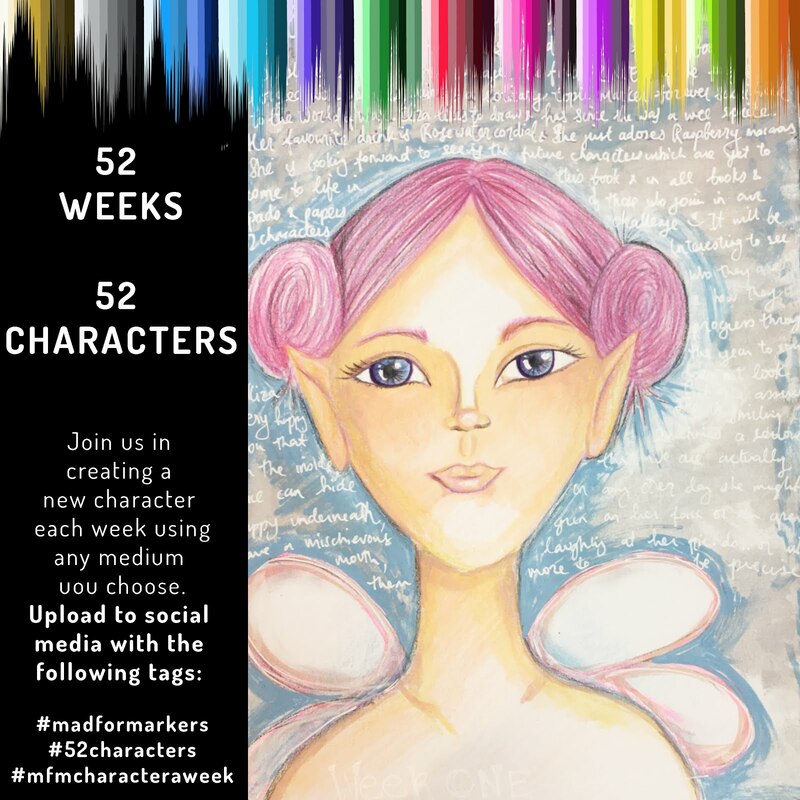 I am so very happy and excited to announce that I am part of the design team for Mad Markers! Yay! Thank you very much Sammi for this opportunity. Perfect timing in my journey of the art world. Being part of a design team is an awesome responsibility as you get to design for the artist using their illustrations each month and you get to tell the world all about it! The best part is meeting LOTS of many wonderfully talented people. :) LOVE it! For the last two days I have been working diligently in the studio on my first two projects. I am very happy with how they turned out and am very excited to show you one right now! I absolutely love this Steampunk image Sammi drew...Steampunk Brianna! She's perfect! I knew right away what I wanted to create: a mix media tag. I just wished I had metallic paper in the studio. LOL thinking...thinking...oh oh! the hamsters in my head are scurrying now :) I can't begin to tell you how excited I am about how my tag turned out! My kids were thrilled when they saw it! I don't want to part with it. Here is how I made this cute tag. I used a package label for this project and a slew of distress inks. I will confess now that, yes, I am an ink addict; I will ink just about anything. I distressed the tag with various colored distress inks and distress paint to give the tag texture and a grunge look. The gears, sentiment, and tab are cuts I bought at Silhouette to use with my Cameo. (Can't live without it.) To give these elements more depth I used ink and glitter; sadly the glitter is not showing on camera, but let me tell you this tag sparkles! My favorite part of creating any project is using my Copics... I cannot imagine my world without Copic Sketch. Below is the Copic Color Recipe I used for Steampunk Brianna. One more thing, before I forget (and I nearly forgot :)), I used Copic Spica glitter pens for some added sparkle. If you haven't seen Spica Glitter pens I highly recommend checking them out. Like Lays Chips, you can't have just one! One important tip: unlike the markers Spica must be laid horizontally. Looks great Paola, congrats on being on the design team!